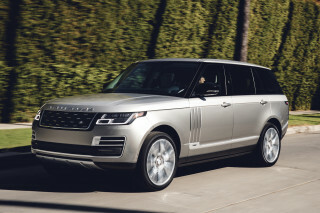 If you plan to carry adults—even occasionally—in the third row, you should consider the Navigator L, which has easier access and more space in back. But make sure it fits in your parking space! The 2009 Lincoln Navigator is a well-rounded, full-size SUV offering both luxury and performance. 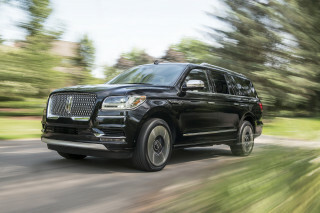 TheCarConnection.com's editors drive the new Lincoln Navigator in order to pass along their expert opinion; this is supplemented with highlights of some of the Web’s most informative reviews, gathered by TheCarConnection.com, to help you make the best decision. The Lincoln Navigator has been on sale now for more than a decade, and it’s maintained its stature as a luxury SUV through major redesigns and minor annual upgrades. The two 2009 Lincoln Navigator models differ in length by 14.7 inches. The additional length of the L model gains the Navigator L 24.5 cubic feet more storage space (42.7 cubic feet. vs. 18.2 cubic feet). With both the second- and third-row seats folded, the standard Navigator boasts 103.5 cubic feet of cargo space, while the L model ups that to a cavernous 128.2 cubic feet. Both 2009 Lincoln Navigator models are powered by a 300-horsepower, 5.4-liter V-8 and driven by a six-speed automatic transmission in either 4x2 or 4x4 configurations. The Navigator's maximum tow rating is an impressive 9,100 pounds. The 2009 Navigator’s handling is secure, but this isn't a truck that likes hustling. The engine provides good power, and the six-speed automatic responds quickly with downshifts, but compared to other V-8 engines in the class, the Ford-sourced 5.4-liter isn't overly impressive for the Navigator’s 6,200-pound curb weight. The six-speed automatic does make the 2009 Lincoln Navigator a pleasant cruiser, helping to keep engine speed down at interstate speeds. The four-wheel independent suspension provides a smooth ride, but there's a fair amount of roll in corners. The powertrain in the 2009 Lincoln Navigator is smooth, though, and it contributes to the quietness of the comfortable interior. The interior's design, function, and comfort are good, and they're much more upscale than the Ford Expedition. The Lincoln-style gauges are a fun throwback, and even the third-row seats are comfortable. When not needed, the power-fold feature on those seats is especially convenient. As one editor of TheCarConnection.com recently experienced, cargo that lies beyond the reach of one's arm can be "slid" toward the tailgate's opening by unfolding the third-row seat; as the seat raises itself, the cargo shifts rearward. The 2009 Lincoln Navigator ups the ante by simplifying the Navigator’s packaging and turning many of last year’s options into standard equipment on both the Navigator and its slightly longer stablemate, the Navigator L. New comfort and convenience features that are now standard on the Navigator include a rearview camera system, rain-sensing windshield wipers, EasyFuel capless fuel fill, Front Park Assist, Lincoln SYNC, and heated second-row seats. Lincoln’s next-generation, voice-activated navigation system and the Sirius Travel Link are now available, as is a new limited edition appearance package, the Monochrome Appearance Package. The new navigation system, working through the Sirius Satellite Radio network, provides Navigator occupants coast-to-coast access to information and entertainment such as real-time traffic data, weather reports, fuel options sorted by price or distance, major league pro and college sports, as well as movie listings from more than 4,500 theaters. The new 2009 Monochrome Limited Edition Package includes features such as Ebony wood trim, Stone or Camel seats with black leather inserts and black piping, and a stitched Lincoln logo on each headrest. On the outside, the package features unique badging, body-color accents, and power folding heated memory mirrors with puddle lamps. Safety-wise, the 2009 Lincoln Navigator performs very well in government front and side crash tests. Additionally, Stability Roll Control and other dynamic safety equipment are standard. King of bling? The 2009 Lincoln Navigator. According to reviewers, the 2009 Lincoln Navigator can be summed up as a brazen fashion statement of rolling bling. The ’09 Navigator recalls the grille work of the classic Continentals from the early 1960s, prompting some affection for the Navigator among TheCarConnection.com’s editors, though others view it as "overkill in chrome." Edmunds reports that the 2009 Lincoln Navigator has the "most amount of chrome available on the nose of any current production vehicle." 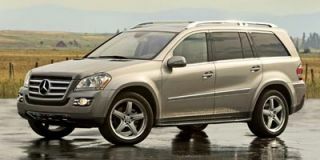 However, in this era of cost-cutting, Cars.com points out that chrome "is very expensive these days and is rarely used on new cars and trucks," revealing that the Lincoln Navigator 2009 "grille is actually painted plastic, and when you get up close you can tell it isn't substantial." However, they also say "it sure looks real from far away, though, and will look that way to the people and drivers you pass on the street." In any event, they point out that the "2009 Lincoln Navigator is about as big, bold and flashy as they come." The reviewer at MotherProof quips "other than it being just a smidge pretentious, I like the way it looks...it is distinctive, stylish, and decidedly Lincoln...discreet, however, it is not." More typical is the assessment from Cars.com, which remarks the Lincoln Navigator "might as well be called the Blingmobile, thanks to its giant, diamond-cut chrome grille." About the Lincoln Navigator's cabin, the test driver at Cars.com loves "the retro gauges," which bring to mind his grandfather's "Cadillacs of the 1970s and early '80s," and says they're "easy to read and extremely distinctive, the gauges make an elegant statement." According to Kelley Blue Book, the design influence goes back even further: "The instrument bezels, 'inspired by popular rectangular fashion eyewear,' have a '50s retro look." The 2009 Lincoln Navigator handles much better than it accelerates. 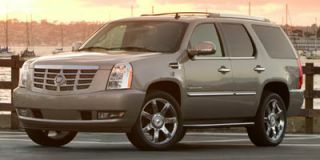 The 2009 Lincoln Navigator can’t compete with the Cadillac Escalade in terms of horsepower, but the big SUV does possess competent handling. When it comes to driving the big "Gator," it's easy to see that Lincoln knows what it's doing. The four-wheel independent suspension provides a smooth ride, but there's a fair amount of roll in corners. Ultimately, the handling is secure, but this isn't a truck that likes hustling. AutoWeek says, "steering response and overall body control make the big ute a surprisingly agile handler." According to Cars.com, "the ride was pleasant on most surfaces, but nothing spectacular"; in any event, the Lincoln Navigator 2009's "sheer size and weight tame most surface imperfections," reports ConsumerGuide. Cars.com says that while the Lincoln Navigator "has the looks part down...the 300-horsepower V-8 engine seems woefully lacking in the power department, especially at takeoff." Edmunds warns the 2009 Lincoln Navigator "still lacks the standout performance expected of today's luxury SUVs, as its 5.4-liter V-8 feels a bit breathless next to the V-8s in the Escalade, Infiniti QX56 and Mercedes-Benz GL450," and ConsumerGuide agrees that it "is not as muscular as rival Cadillac Escalade." 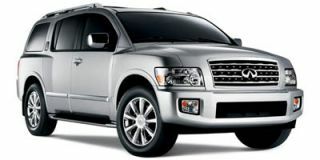 The 2009 Navigator compensates for its gutless engine with an excellent transmission. Cars.com says this "six-speed automatic is the sole transmission, and the Navigator can tow up to 8,950 pounds when properly equipped." Rear- and four-wheel-drive versions are available. The Navigator's maximum tow rating is a very impressive 9,100 pounds. Fuel economy, though, is no strong suit. ConsumerGuide reports that their test Lincoln Navigator "returned just 12.5 mpg, low even for this class." This source notes that 2009 Lincoln Navigator "4WD models are too heavy to be rated in the EPA fuel economy program." Lesser-quality materials detract from the cabin of the otherwise luxurious 2009 Lincoln Navigator. Available in two models, standard and long-wheelbase L, the 2009 Lincoln Navigator promises comfort once inside its cavernous interior. The interior of the 2009 Lincoln Navigator features mostly high-grade materials. “Luxuriously soft leather upholstery and real-wood interior trim are standard," but the "premium ambiance is let down by low-budget switchgear feel, painted plastic panels, and a few too many unpadded surfaces,” says ConsumerGuide. Cars.com contends there's "something odd in the texture of 2009 Lincoln Navigator's new interior plastic...it doesn't seem nice enough to be in a pseudo-luxury vehicle." The ’09 Navigator doesn’t sweat the big stuff, but small items are easily lost within the vast interior. Cars.com remarks that the Navigator’s "center console sports four cupholders for the incredibly thirsty traveler," and this source points out that "it didn't fit much other stuff...there were no smaller cubbies for things like breath mints, change, a cell phone, etc." According to Cars.com, "inside the cabin, big, plush seats welcome the driver and passengers." It is noted here that the Lincoln Navigator 2009 "third row was about as cramped as any third row in a large SUV these days, but the power fold option was nifty to watch." In any event, the Lincoln Navigator has "no shortage of room in any direction...the seats are generously sized and very supportive," remarks ConsumerGuide. Kelley Blue Book says the 2009 Lincoln Navigator is "uncannily quiet inside due to a new acoustic windshield, thicker side glass and increased insulation throughout." The 2009 Lincoln Navigator is one helluva safe ute. 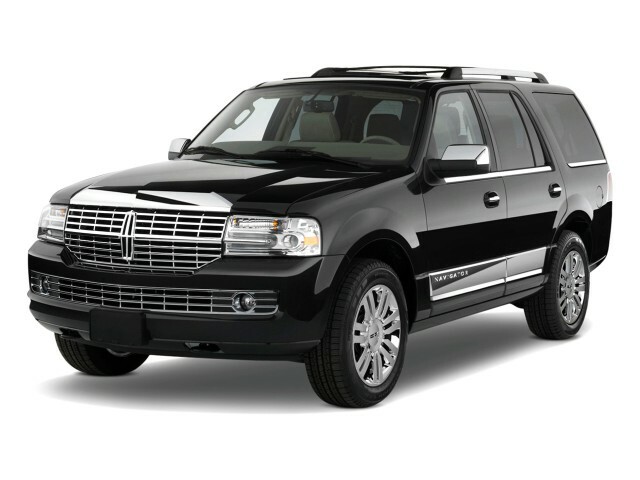 In terms of safety, the 2009 Lincoln Navigator is one of the best SUVs on the market. The 2009 Lincoln Navigator scored four stars in rollover resistance and five stars for front impact protection in crash tests conducted by the National Highway Traffic Safety Administration (NHTSA). However, Cars.com notes that the 2009 Lincoln Navigator "has not been crash tested by the Insurance Institute for Highway Safety, which has a more stringent testing process than NHTSA." 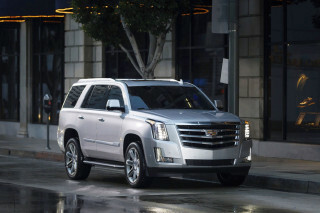 Cars.com notes that "tire pressure is always important to keep an eye on, and even more so with SUVs." ConsumerGuide offers "kudos to Lincoln for making a rearview camera available, but it's unfortunately part of a pricey option package." On visibility, which the Lincoln Navigator 2009 has in abundance, Automotive.com comments, "once the driver gets comfortable, however, it's hard to beat the commanding view ahead. A Greyhound bus or tractor-trailer rig are about the only vehicles on the road that can obstruct the driver's forward vision in a 2009 Lincoln Navigator." The 2009 Lincoln Navigator leaves nothing to the imagination because it offers luxury and gadget fans pretty much everything. 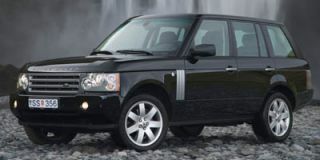 TheCarConnection.com’s editors find that what were once options are now standard equipment on the 2009 Lincoln Navigator. “Comfort and convenience features that were extras are now standard including a power liftgate, heated and cooled seats, Sirius satellite radio, a 14-speaker THX surround-sound audio system, and PowerFold third-row seats," reports Automobile. 2009 model-year options include a Monochrome Limited Edition Package with new outer trim and cladding, power-folding side rear mirrors, and unique badging. Inside, the Monochrome package adds black carpet and floor mats, black wood trim, and distinct seats with black-leather inserts and Lincoln logos stitched on the headrests. According to Kelley Blue Book, other 2009 Lincoln Navigator options include "a power moonroof, voice-activated DVD navigation, rear-seat DVD entertainment system, 40/20/40 split-bench second seat, a cargo management system, power-deployable running boards, Class IV trailer towing package and chrome aluminum wheels." Looking for a different year of the Lincoln Navigator?